Win Tickets to LEAF Festival! This weekend is one of our favorite weekend of the Spring – it’s LEAF time! 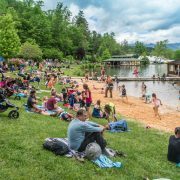 LEAF Festival is an intergenerational family of 12,000 people that join together upon the beautiful Lake Eden in Black Mountain grounds to experience the power music, art and culture has to transform lives, strengthen community, and foster unity. 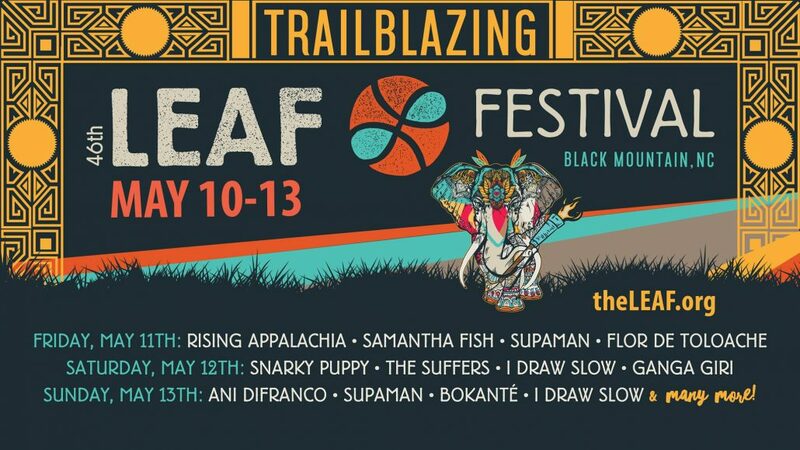 LEAF Festival takes place on the site of the old Historic Black Mountain College with a stunning array of rolling hills, lakes, streams, and mountain beauty on hundreds of acres of comfortable camping grounds. LEAF scours the globe for artists, musicians, performers and facilitators that are not only masters of their craft, but who also care deeply for the power of arts education and family engagement. We have 2 x Passes for Sunday May 13th to give away! Want to win them? Just tell us this simple question! A winner will be picked on Friday May 10th and sent the tickets via email. https://www.bellyak.com/wp-content/uploads/2018/05/p2331482481-3.jpg 387 580 Natalie DeRatt https://www.bellyak.com/wp-content/uploads/2016/02/Bellyak_Logo_Orange-e1458584393426-300x208.png Natalie DeRatt2018-05-08 12:56:442018-05-08 12:56:44Win Tickets to LEAF Festival! Bellyak, along with Five Rivers Metro Parks in Dayton Ohio will be providing Bellyaks for scouts of all ages for the 100th Annual Miami Valley Council Camporee.